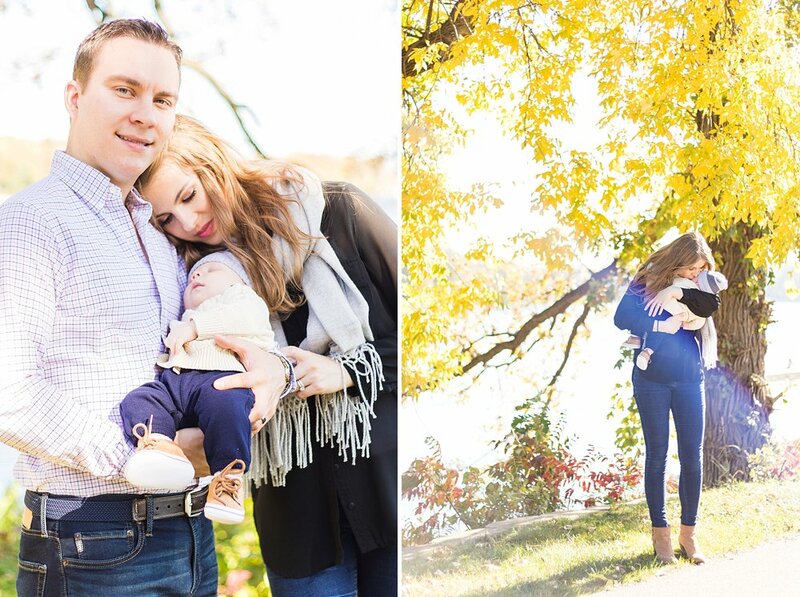 This family just moved to Minnesota and wanted a midwest fall background for their photos. West Medicine Lake Park in Plymouth was such a great setting with the fall leaves, glimmering lake, and sunshine. Their adorable 3 month old loved snuggling his way through the photos!